If a fixed skylight isn’t what you’re looking for, we also offer Manual, Electric and Solor Powered venting skylights. The manual vented skylight enables any home to embrace the best of what nature has to offer, opening for maximum fresh air, Venting skylights contribute to a home’s proper moisture balance and comfort level by allowing stale, humid air to be released. The electric venting skylight is the perfect day lighting solution for overhead applications, it allows for abundant natural light and with a touch of a button, opens to let in fresh air, and if you forget to close it, a rain sensor will shut the skylight during inclement weather. 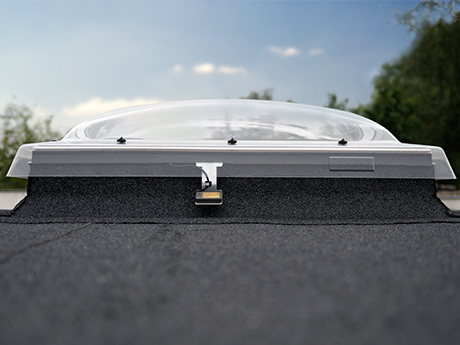 The solar powered venting skylight offers everything the electric does, except illuminating the need for electrical wiring during installation. Dim and dark rooms are an unwelcoming place, Sun Tunnel skylights bring natural light into even the darkest and most isolated spaces through a specially designed tunnel that passes from the roof to the ceiling of the room. The attractive ceiling diffuser blends unnoticed into the ceiling, spreading a soft and restful light throughout the room. Please visit our showroom to see our demo! Put fresh air at your fingertips with a top hinged roof window. A top hinged roof window is easy to operate even with furniture beneath. The ventilation flap allows you to enjoy fresh air without completely opening the window. We recommend top hinged windows for in-reach applications to take full advantage of the opening and cleaning features. We also have a center pivot window, we recommend this for in-reach applications to take full advantage of the opening and cleaning features. The CABRIO® Balcony opens in seconds to give your loft space a place in the sun. The innovative balcony adds air, light and a great view to your home. When closed, the CABRIO® fits flush with roof for added convenience. CFP Flat roof: Flat roof skylights are highly energy efficient, innovative solutions for bringing large amounts of sunlight though a flat roof, The CFP is a fixed flat roof skylight to let in natural light and provide a view to the outside. CVP Flat roof venting: The CVP is a manual venting flat roof skylight that provides daylight, ventilation and nice breath of fresh air, all through the roof. CXP- Flat roof exit: The innovation CXP is a flat roof exit skylight designed to provide access to your roof, bring in natural light and enjoy the view all in one solution! 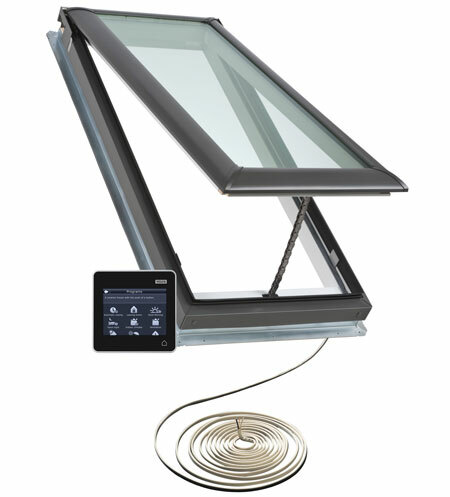 For more details on any of the skylights please visit: Velux (Click Here) or contact our office!